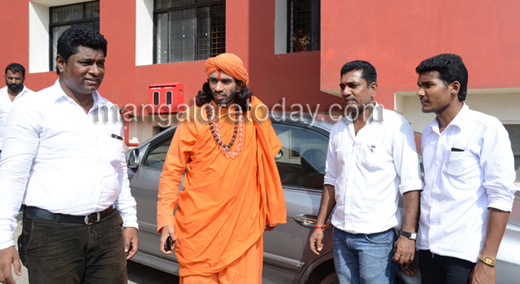 Mangalore, Oct 18, 2014: Swami Pranavananda, National President of the Bharatiya Kranti Sena has claimed that his organisation was striving towards protecting Hindu culture and was not dividing the society. Speaking to media men outside the District Court premises here on October 17 after appearing before the JMFC II Court for a hearing in a case filed against him by the PFI and the Komu Sauharda Vedike in connection with his controversial Khadga Deekshe programme, Pranavananda declared that no amount of cases would deter him or his organisation from striving to reach its goal. 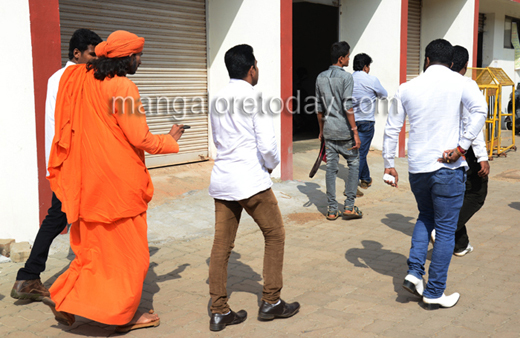 He said he had a total of 29 cases against him in the state and claimed that many were now planning to withdraw the cases. 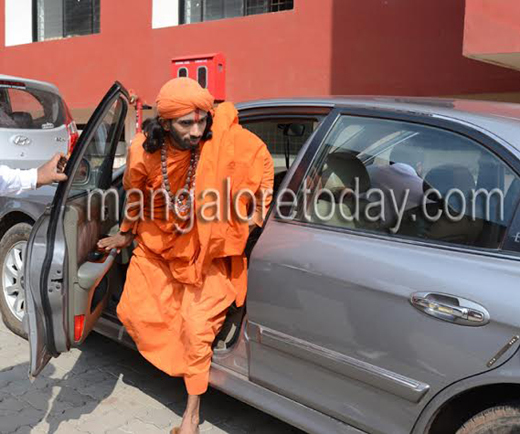 He also alleged that religious heads were booked in the state with an intention of tarnishing their image.